Preparations for the release of the Mpindo pack back into the wild are now at an advanced stage. Meanwhile we thought we give you some information about the individuals in the pack. 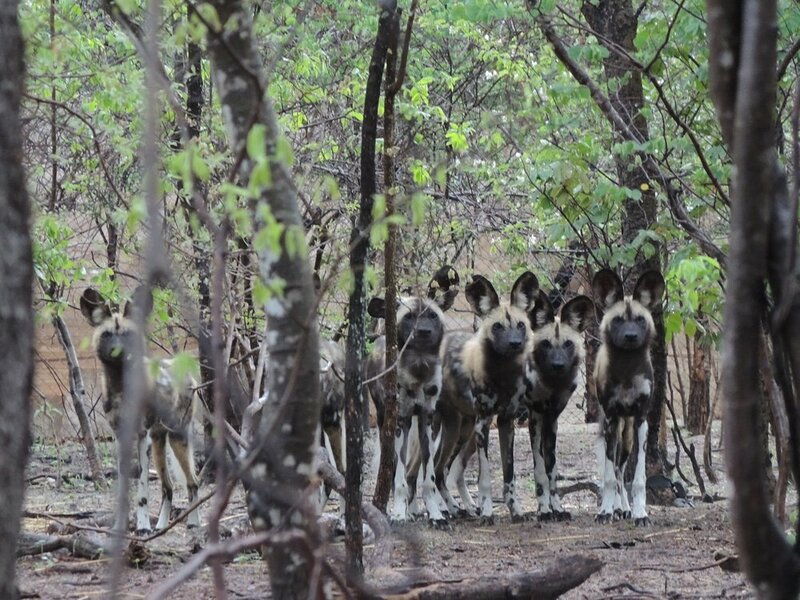 The Mpindo pack is comprised of 10 painted dogs, 2 adults and 8 pups. The 2 adults are also the alphas of the pack namely Snow-Tail, the alpha female, and Jonathan the alpha male. This is Snow-Tail. 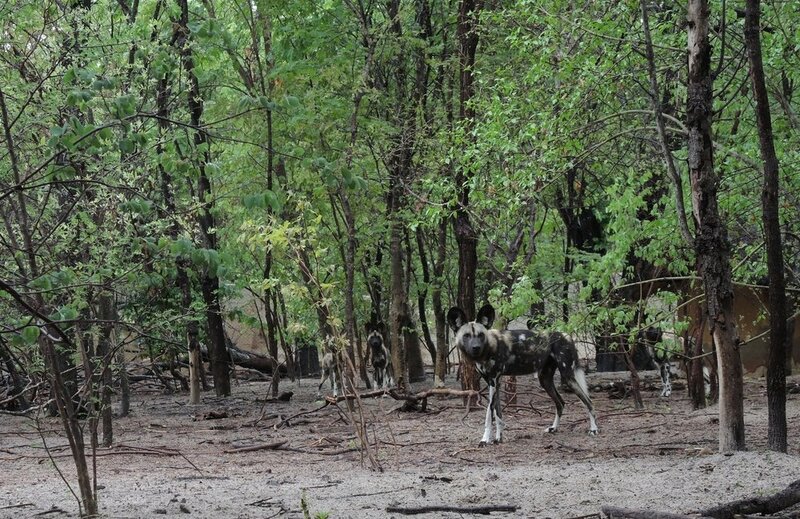 She is the alpha female of Mpindo pack and the mother of the now six-month old 8 Mpindo pups that came into our Rehabilitation Facility barely 2 weeks old. Snow-Tail dispersed from the then Brokenrifle pack in 2016 and only reappeared in June this year as an alpha of her newly found pack, the Mpindo pack. She has been a good mother, putting her pups first and taking care of them to become what they are today…ready to take on the wild world. This is Jonathan, the alpha male of the Mpindo pack and father of the 8 Mpindo pups. Together with Snow-Tail, they founded the Mpindo pack. We could not locate Jonathan in our extensive id files (20 packs of more than 150 individuals) we have for painted dogs in Hwange National Park. Jonathan might have come a long way from an unknown pack to us, it confirms our belief that they may be other painted dogs deep inside Hwange National Park, which is a good thing. Jonathan has been a good mate to Snow-Tail and good father to the pups, letting them eat first every mealtime at our Rehabilitation Facility. And there are the pups, 8 of them and 6 months old. They are the hope of regeneration of this pack, they should become efficient hunters and survive the hunters. They should carry on the legacy, reproduce and survive into the future.